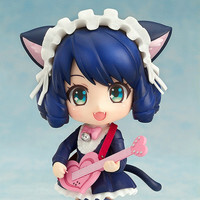 Crunchyroll - Good Smile Company Jams with Nendoroid Cyan from "Show by Rock!!" 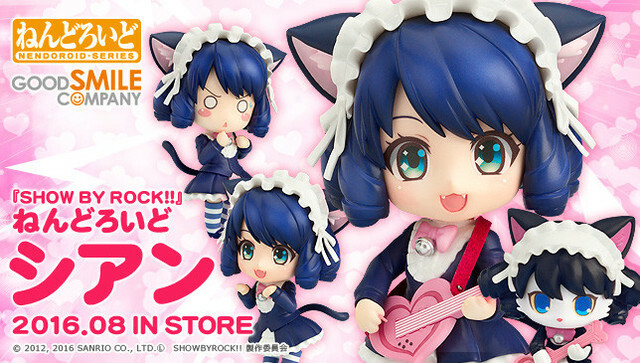 Good Smile Company Jams with Nendoroid Cyan from "Show by Rock!!" 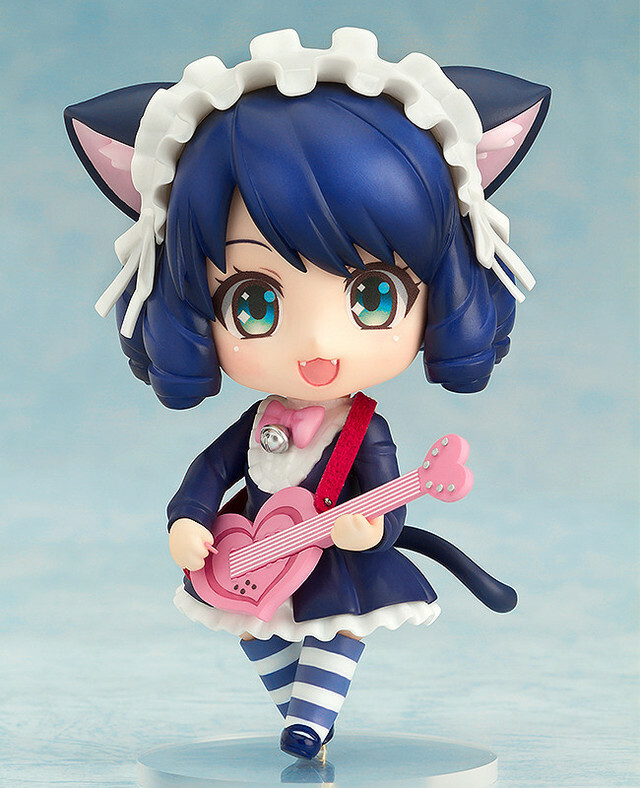 Good Smile Company is tuning up for the release of a Nendoroid toy of Cyan, the guitar-strumming cat girl protagonist from Sanrio's Show by Rock!! 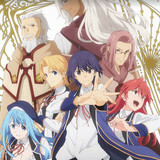 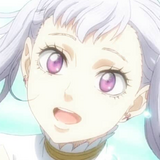 TV anime and smart phone game. 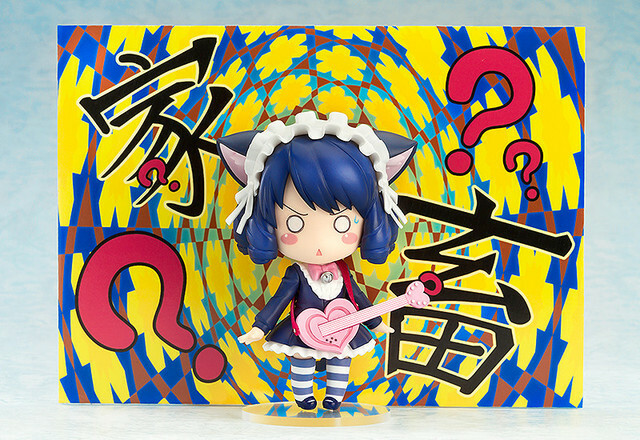 Nendoroid Cyan comes with 2 swappable expressions (enthusiastic and embarrassed) as well as hand parts that allow her to play her legendary guitar, Strawberry Heart. 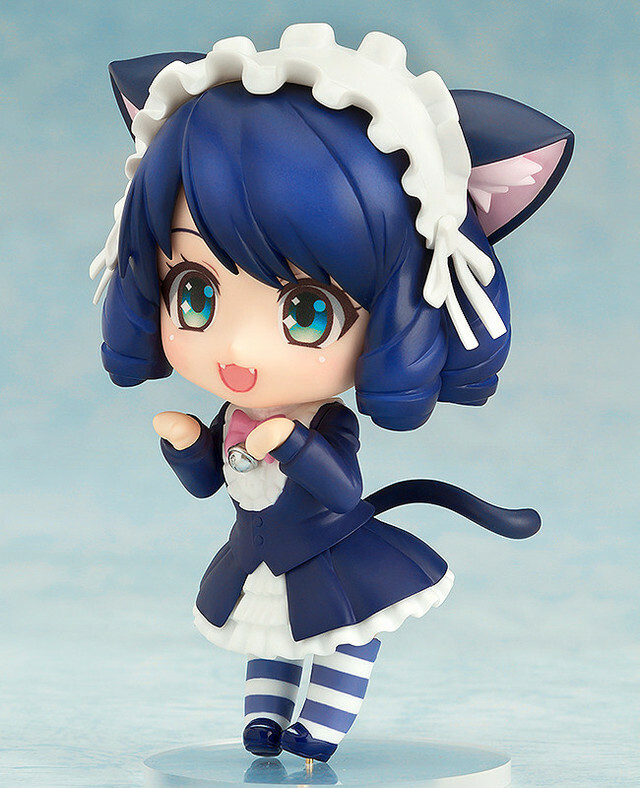 Cyan also comes with hand parts that allow her to make the "cat's paw" pose. 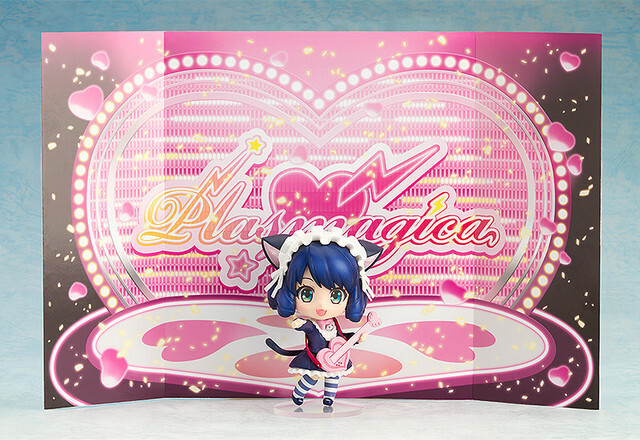 The packaging doubles as a stage backdrop for when Cyan performs with her band, Plasmagica, and the Nendoroid toy also comes with a backdrop that allows fans to recreate Cyan's confusion when she was called "livestock" by Crow, the lead singer of Shingan CrimsonZ. 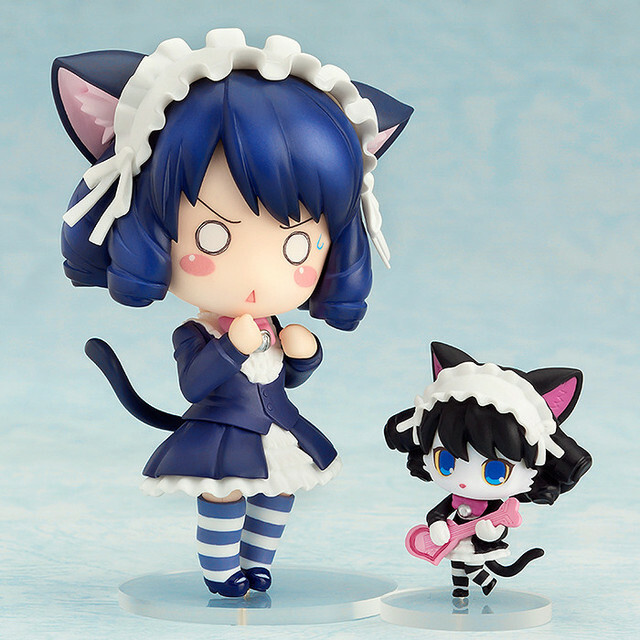 Additionally, a mini-figurine of Cyan in Mummon form is also included. 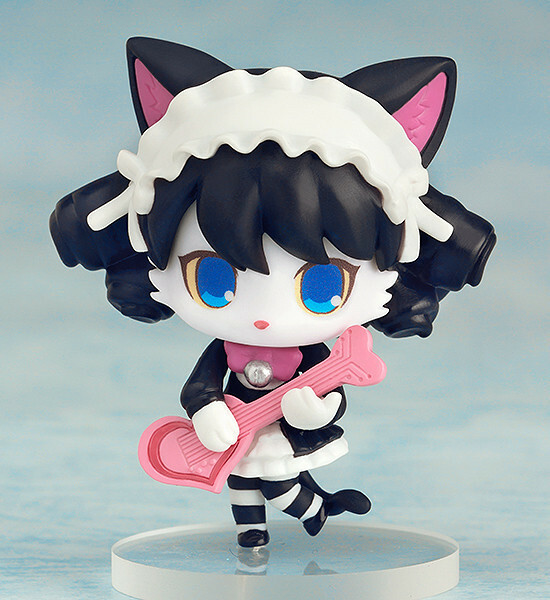 The Nendoroid Cyan toy is made of painted ABS and PVC and stands approximately 100 millimeters (3.94 inches) in height. 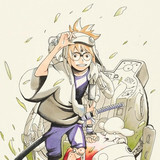 Pre-orders are currently available online through vendors such as the Crunchyroll Store, and the final product is scheduled to ship in August of 2016. 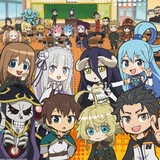 Nendoroid Cyan retails for 4167 yen ($36.58 US) plus tax.